Of all the exotic places that I had an opportunity to visit, there is nothing more exquisite and mystifying than Tibet. The place where the actual Shangri-la is from, where monasteries with actual monks are commonplace and sceneries that actually make you at peace with your self. Tibet is a stunning destination where tranquility coexists with its unmatched beauty of nature, culture, and the undying faith and devotion of the Tibetan people. Dubbed as the Roof of the World, Tibet is a land that’s full of splendid sceneries – from the breathtaking views of ice-covered mountains and glittering turquoise lakes, to colorful prayer flags and majestic monasteries. Apart from these splendors are the warm and welcoming character of the Tibetan people and their highly cultural traditions that make your visit special and truly one-of-a-kind. With an elevation of more than 11,000 feet, the city of Lhasa is the center for politics, economy, and culture of Tibet. Situated right next to the Lhasa River, the city offers an abundance of its cultural and spiritual history that’s been in existence for over 1,300 years. Blessed with flat land and gentle weather, Lhasa is free of cold winters and intolerably hot summers, with an annual average daily temperature of 43 degrees F. Also, the city enjoys a lot of sunlight per year, dubbing it as Tibet’s sunlit city. The city name Lhasa literally means the Holy Land or the Land of the Gods. Many temples and monasteries are built in this city, symbolizing the strong faith and devotion of its people. Your trip to Tibet is not complete without visiting one of its renowned landmarks, the Potala Palace. Stands as the highest ancient palace in the world, reaching over 12,300 ft, the Potala Palace is situated in Lhasa, the capital and most populous city of Tibet. The palace consists of two parts: the red palace, painted in red to symbolize stateliness and power; and the white palace, once served as the residence of Dalai Lama. Potala Palace is among the most important representations of Tibetan Buddhism. Visiting this palace will give you a great opportunity to witness a dazzling, panoramic view of the ice-capped Himalayas. Norbulingka, a palace located in Lhasa, served as a customary summer residence of the Dalai Lamas. Recognized as a UNESCO Heritage site, Nobulingka was built in the 17th century by the 7th Dalai Lama. The palace used to be a center for both government and religious activities. Today, the palace is the hub for Tibet’s festivities including entertainment and celebrations with dancing, singing, and music. Shigatse, also known as the Fertile Land, is the second largest town in Tibet. With an elevation of more than 14,000 feet, a little higher than that of Lhasa, is 186 miles away from the world’s highest peak, the Mt. Everest. This prosperous, Buddhist city showcases majestic Tibetian buildings and cultural relics. It is the home to two of the most prominent monasteries in Tibet, Tashilhunpo Monastery and Sakya Monastery. Located in the west of Shigatse City is another famous Tibetan attraction, the Tashilhunpo Monastery. Founded in 1447 by the first Dalai Lama, Tashilhunpo Monastery houses plenty of treasured sutra and cultural remnants of Tibet. The monastery is considered as the largest religious institution of Tibet, showcasing magnificent Tibetan architecture and grand monastic sights. It houses the huge golden statue of the Future Buddha, the largest glided statue in the world. Truly, one should not miss Tashilhunpo Monastery when visiting the town of Shigatse. Yamdrok Lake is one the nine sacred lakes found in Tibet and the largest fresh water lake in the Himalayas. Located in the south of Yarlong Tsangso River in the Shannan Region, the lake and its surrounding natural scenery is the perfect representation of peace and solemnity. Many pilgrims and tourist flock here to experience a different kind of stillness brought by the views of dazzling jade-colored water, mirroring the bright blue sky. Truly, Tibet is a destination like no other. It is where you’ll experience the perfect fusion of calmness and beauty. It’s wonderful how places like Tibet can influence your perspective on life and its beauty for the better. 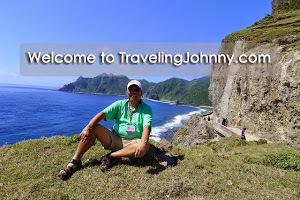 Until next time, I’m your friendly global traveler, Johnny, inspiring you to travel more often and discover the many beautiful things that are out there waiting to be explored.